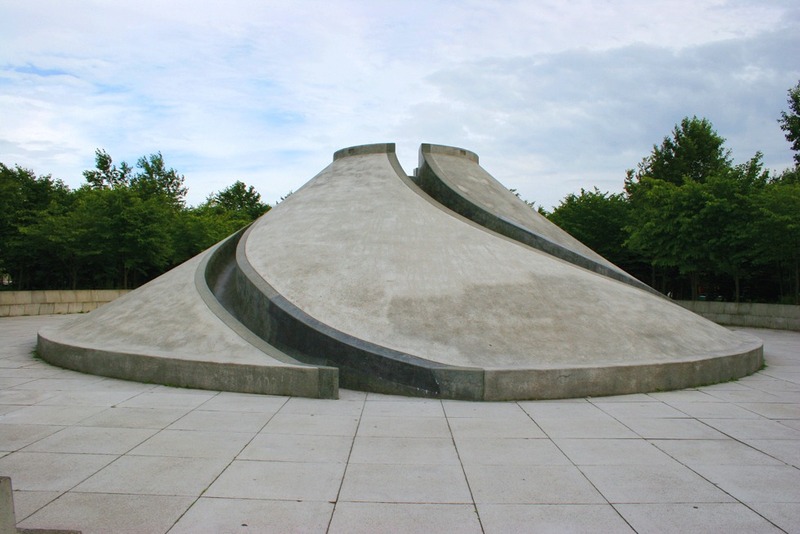 Opened in 2005, 7 years after his death, Moerenuma Park was designed by the Japanese American artist Isamu Noguchi. 1,888,000 square meters in size it contains 120 play pieces - the artist considered the whole park a sculpture. A multiple spiral slide made of concrete and stone.